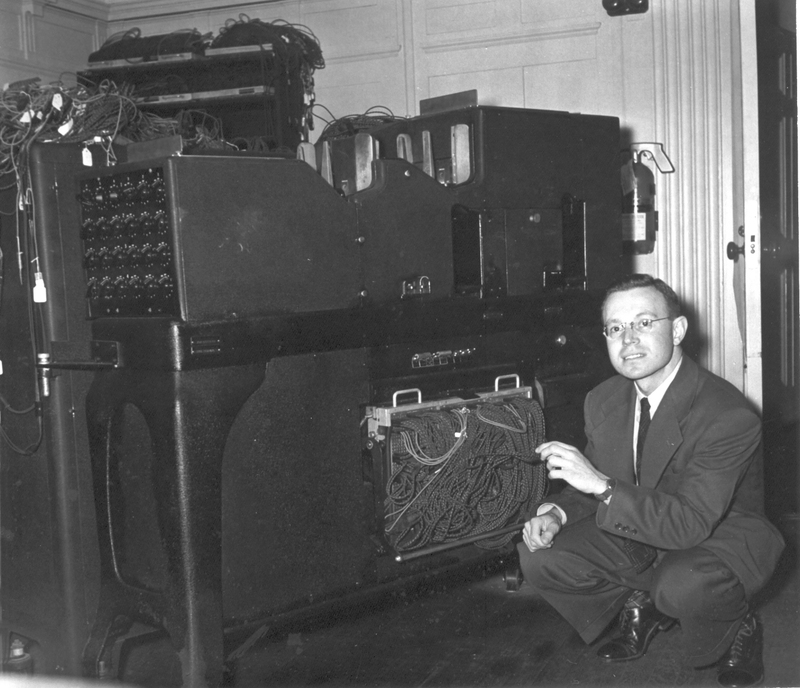 Eric Hankam with one of the two IBM "Aberbeen" Pluggable Sequence Relay Calculators at IBM Watson Laboratory at Columbia University, 612 West 116th Street, New York City, 1945-1959 (NEED DATE FOR THIS PHOTO, DESCRIPTION OF COMPONENTS). The Aberdeen was the fastest computing machine on earth from 1944 to 1947. Photo from the collection of Eric Hankam. Click on image to magnify to full size.